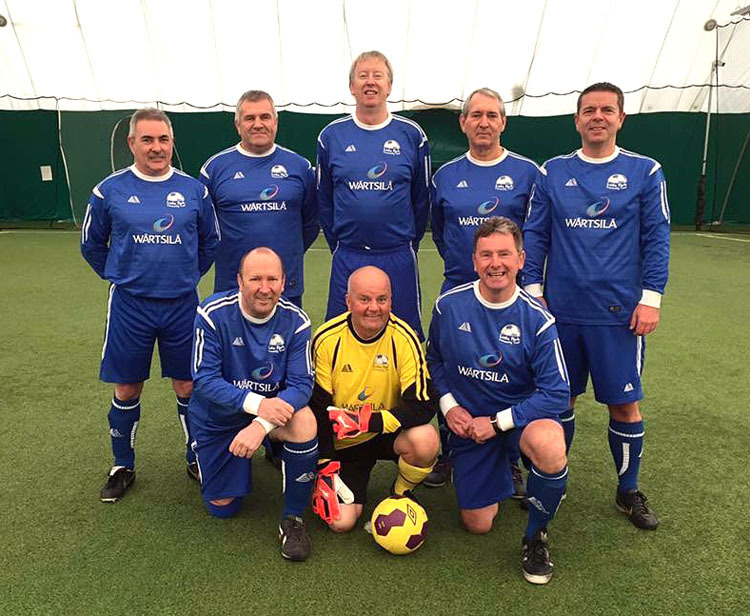 Montrose looking for a first double in walking football. Countdown is on, ONE day to go till the Scottish Cup and Festival at Glasgow Green. Montrose are sending down two teams. Montrose are sending two teams down to Glasgow on Saturday making a first in two categories. The ladies team making the first full squad of women ever to play in a National event, whilst the men are looking to be the first team to win the Scottish Cup on two occasions. The second double is on. Links Park Community Trust was established in 2011 with one very simple goal; to utilise the power and widespread appeal of sport to inspire change. Six years later they out performed all other 41 clubs in Scotland, scooping the Best Professional Club in the Community trophy. Project Officer Logan Cruikshank said: “The Montrose Waking Football Club comes under the umbrella of the Links Park Community Trust and was formed around three years ago. The sessions have grown and we now have around forty men taking part in two sessions every week. We have a competitive or high intensity session for over 50's and also a non-competitive session with no age restriction where the players are happy to play for the enjoyment. “We also have a women’s session with no age restrictions who will be playing in the national festival. Their average age is between 45-50 but there is a big age gap between the youngest at 21 and the oldest at 64. “I understand that ours is the only all-female walking football sessions in Scotland and possibly the UK. I know many women play the sport but they all play in mixed teams. “The Ladies recently played a friendly match against St Johnstone which I believe was the first all-female walking football match in the country. “In 2016, the men’s team won the Scottish Cup in Edinburgh which helped boost the numbers. Their achievement was reported in the local press and via social media and things went crazy. “That was their first big tournament and they didn’t know what to expect and had no idea of what the standard would be like so everyone was delighted when they returned with the trophy. “We are still keen to increase the numbers but the problem is persuading people to give the sport a try. I often speak to people who think they are fit enough to play regular fives but they don’t appreciate how hard walking football can be. “All the players are looking forward to the event in Glasgow. The men’s team are taking part in the Scottish Cup and the Ladies side will play in the festival. We are looking to hire a coach so both teams can travel through together. “I appreciate the health benefits from playing walking football and as a community trust we have to evidence this to help with funding requests. One testimonial was from a player who was on medication for high blood pressure and diabetes. Playing walking football and other activities has helped him reduce his medication by half which is fantastic. Walking Football Scotland wish the best of luck to Montrose and all the walking football groups travelling to Glasgow this Saturday.